Kim Kardashian and Kanye West have chosen the name of their newborn son Saint’s godmother. “Kim and Kanye both feel that Kourtney is really perfect to be Saint’s godmother,” an insider told the Hollywood Gossip. 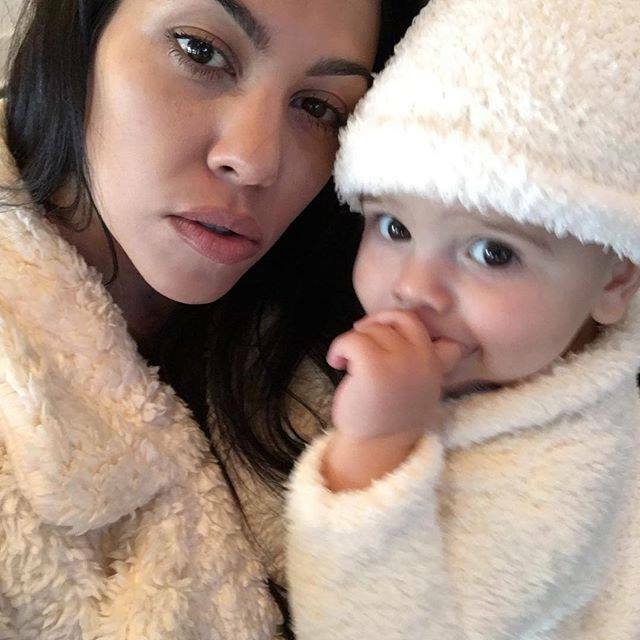 Kourtney Kardashian recently launched her own motherhood-oriented mobile app and is the proud mother of Mason, 5, Penelope, 3 and Reign, 1. “Kourtney was just the obvious choice for her son. Kim really wants all of her sisters to be involved in her children’s lives,” the insider said. Khloe Kardashian became the godmother of Kim’s first child, North, 2, when she was baptized in Jerusalem. As for the godfather, Kim Kardashian has reportedly made her choice but has yet to reveal it to her family.